Summer is here at last! Beautiful light has been filling my home each morning and I've absolutely loved pottering about in my garden at dusk once all my little ones are tucked all up in bed, hearing the swifts flying and the buzz of Summer. Mollie Makes have invited bloggers to share their Summer homestyle, so I thought I would show you a few things that I love to do to bring Summer into my home. I love filling jam jars with flowers from the garden or from my lovely local florist. This jam jar is from our wedding and simply decorated with some happy pink washi tape and yellow and pink buttons. Yellow and pink are my favourite colours and I think they are such good colours to use in the home in the Summer months. These are my two favourite Summer finds this year. My happy pink and orange ombre rug from Oliver Bonas and my cute pink stool from Rigby & Mac. I also love to choose books, both old and new, to display for each new season. I like having them to hand to inspire me. This Summer I am loving Outdoor Living by Selina Lake, Decorate with Flowers by Holly Becker & Leslie Shewring, Petit Collage by Lorena Siminovich and a favourite from a couple of Summers ago Instant Love by Susannah Conway. I also love having bright, colourful things in my kitchen in the Summer from tablecloths, like this one from Cath Kidston, happy beakers from Rice, my lovely cherry blossom flask that I've had for years and my new jam obsession from The Hambledon. And finally I am loving my pretty pink rose lights from Cox & Cox for some romantic Summer evening lighting indoors and as many sweet peas as I can bring into my house because they smell of childhood Summers. 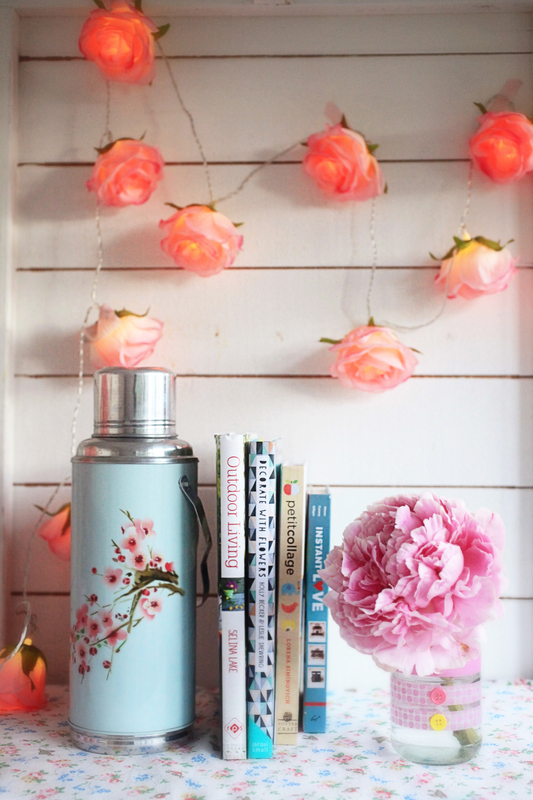 My Summer Homestyle : pink, pretty, happy, joyful with a whole heap of love. I hope that has given you a little bit of inspiration for bringing some Summer sunshine into your home.